Let’s take just a minute to consider the power of podcasts for marketing. Podcasts are often thought of as strictly audio content, but they really can include all types of digital mediums including documents and videos. 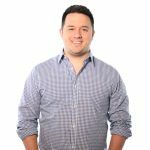 Understanding how to use podcasts for marketing can be a powerful tool in your toolbox when it comes to figuring out new, creative ways to promote your business. 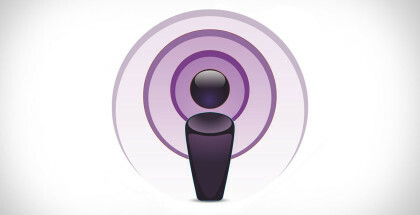 Keeping the content of your podcasts varied is a key to keeping your audience interested. Variety is easy to achieve when you think creatively. Invite several different guest speakers to contribute rather than just one. Including several types of different segments in the show. Use interview style podcasts when appropriate. Consider including game show segments to keep things light hearted and involve your audience. Having an audience is great, but keeping and growing that audience is what you’re aiming for when it comes to marketing your business. Using podcasts for marketing is an effective and fairly simple way to expand your audience and therefore your list of potential leads. Have your followers suggest subject topics through emails or social media sites. Begin conversations via podcasts that could be continued amongst your audience on social media. Be sure to not only include the people following you, but to truly listen to them and make an effort to incorporate their ideas. By actually acting on suggestions and responding to their voice you can show clients and potential customers that you really do care about their input and appreciate their business. Remember that podcasts are great for mobile users. Audio podcasts are especially made for on-the-go use and can reach people even when they’re busy. Many people enjoy being able to multitask and listening to a podcast while completing another task is a great way to feel productive. So, keep your content light enough that listeners can be engaged even while doing something else simultaneously. iTunes is another great way to harness the power of podcasts for marketing. By listing your podcast on iTunes, you immediately make it available to an audience of millions. People who have never even heard of your business can be linked up with you after finding your podcasts on iTunes through relevant keyword searches. And think about it…if they’re already interested in topics related to your products and services and/or if they find your podcast as a result of a keyword search, they are probably great leads! Now that you know how easy it can be to utilize podcasts as an effective tool in your marketing strategy, it’s time to get to work!